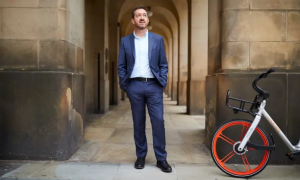 Manchester’s mayor, Andy Burnham, aims to turn the city into one of the greenest in Europe, and a place of mostly haphazard, sometime pot-holed cycle lanes, into the cycling capital of the country with 1,000 miles of network. Boardman has been given 10 years and £1.5bn of ringfenced money. He is confident he can change behaviour in this rainy city, where there are 250 million car journeys of less than 1km every year, where life expectancy is among the lowest in the country, where air pollution is too high, where people eat, drink and smoke too much and do not do enough exercise.